Fifty years ago, at the height of the Cold War, the USSR launched Sputnik, the first satellite to orbit the earth, bringing America to its knees in awe – then fear. Initially thrilling as a marvel of science, Sputnik was soon viewed by America a weapon of mass destruction. Narrated by Liev Schreiber with expert use of archival footage, SPUTNIK MANIA explores the fast-moving series of events that brought the world’s super-powers to the brink of nuclear war, and includes the story of two ex-generals whose private agreement prevented WW III. 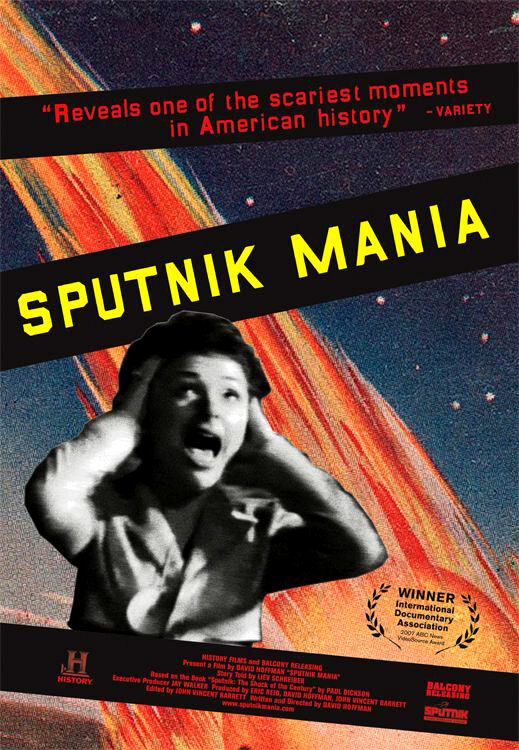 SPUTNIK MANIA is based on Paul Dickson’s bestselling book Sputnik: The Shock of the Century. The filmmaker, David Hoffman, has 40 years of movie-making experience, including over one hundred television specials and four feature documentaries. Actor Liev Schreiber narrates the film with his dramatic and instantly recognizable style of storytelling.